While the conventional wisdom tells pregnant women they should be "eating for two," many moms-to-be in the U.S. actually need to scale back on their caloric intake, according to new research. The report from the Centers for Disease Control and Prevention found that almost half of expectant mothers across the country gain too much weight while pregnant. Experts caution that putting on too many extra pounds during pregnancy can lead to negative health effects for both mom and baby. 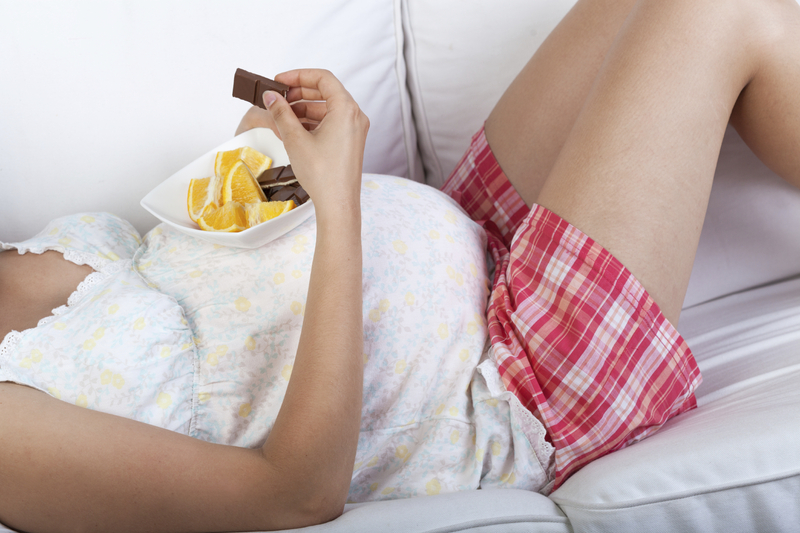 The study involved more than three million pregnant women in 46 states during 2012 and 2013. After an analysis of birth records -- including pre-pregnancy weight -- the researchers found that 47 percent of pregnant women gained more than the recommended amount of weight. Conversely, 21 percent of women gained too little weight. According to guidelines from the Institute of Medicine, normal-weight women should gain about 25 to 35 pounds during pregnancy. Women who are underweight should aim to gain between 28 to 40 pounds, while 15 to 25 pounds is recommended for overweight women and 11 to 20 pounds for obese women. For healthy pregnancy weight gain, he report points out that most women need to consume an additional 340 to 450 calories per day only during the second and third trimesters. Excessive weight gain during pregnancy is associated with a number of short- and long-term health problems for both mother and child, including the increased risk of postpartum weight retention, future maternal obesity and the possibly of future childhood obesity. The American College of Obstetricians and Gynecologists recommends that doctors check a woman's pre-pregnancy body mass index (BMI) at her first prenatal care visit, educate her on the recommended guidelines for weight gain while pregnant and continue to offer weight management counsel throughout the pregnancy. The IOM also recommends pregnant women routinely self-monitor their weight and engage in 150 minutes per week of moderate-intensity physical activity, such as brisk walking. It encourages women to seek additional help from a nutrition specialist, when appropriate.